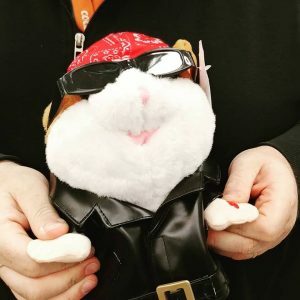 Gopher Contest of The Month! Look at our newest employee! We found him while thrift shopping! We love him but are not sure what to name him? Can you help? Please provide a name submission below and the chosen name will win a $50 gift certificate from Battery Up Bakery! If multiple people submit the chosen name we will draw to determine who will win the ultimate prize! We are looking for witty! Mama Gopher is a big fan of alliteration, but don’t let that stunt your creative process! Thanks and have a Gopherific Month! The winner will be announced on November 1, 2018. One entry per email please! This email will also add you to our Gopher News Monthly email, but you can unsubscribe at any time!